TeHÔM (Hebrew: תְּהוֹם), translated means the Deep or Abyss (Greek Septuagint: ábyssos), and refers to the Great Deep of the primordial waters of creation, equated with the Sumerian Tiamat. Literally it means ‘’flood’’. Tiamat and TeHÔM are closely interwoven, thus pointing at Chaos; Chaos from which Creation comes forth. Moreover, TeHÔM is synonymous with a place where the righteous will walk toward redemption at the ‘’End of days’’. TeHÔM is as such often mentioned by Gnostics and is also the first of seven "Infernal Habitations" that correspond to the ten Qliphoth in Kabbalistic tradition. 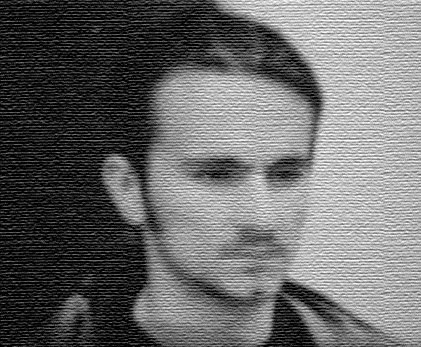 As such, it was very much appropriate, that one grey autumn day, back in 1988, lifelong student and author of works in the fields of philosophy and religion, Siniša ‘’Charlie’’ Očuršćak, gave the name TeHÔM, to his own musical project, which would help him to further express his own research in the philosophy of religion through the medium of music. The dreams of one thus became the dream of many. His unique artistic vision embedded with deep respect, knowledge and a background in diverse cultures, religions and traditions became a foundation stone for other artists to come, in the decades to follow. Siniša was a professor of Philosophy at the prestigious ‘’Jesuit College of Philosophy’’ (part of University of Zagreb, Croatia) in Zagreb and editor of the book "The problem of mind and body in contemporary philosophy". Always at his side, from the early beginnings, as an integral part of TeHÔM stood Miljenko Rajaković. 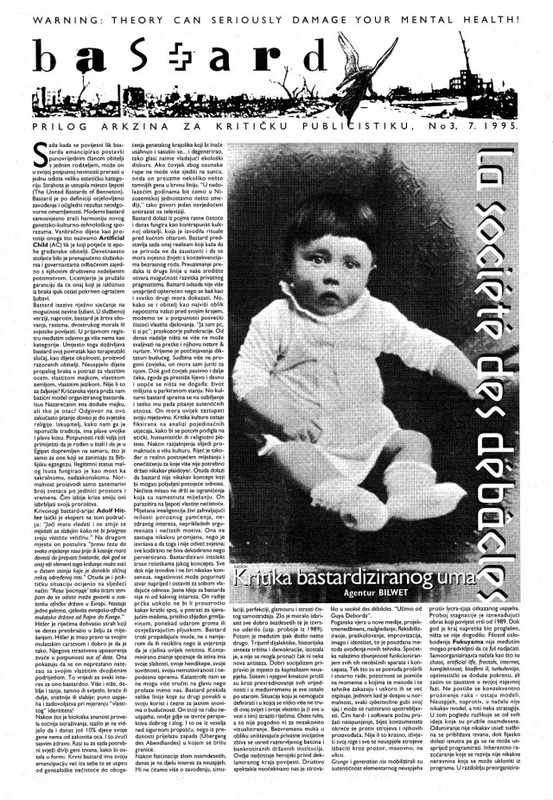 Rajaković himself was the only possible match for the creative genius of Očuršćak with whom he had worked on another project bearing the name Principia Audiomatica; the result was an album with the title ‘’Systematic Sonority’’ for renowned italian label Minus Habens Records. 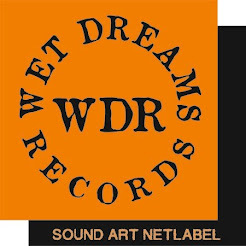 European Recordings sublabel, with steady distribution from World Serpent label. 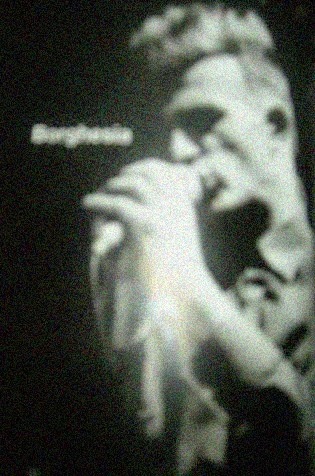 Later after the demise of World Serpent label, Tesco Distribution, took on to become its underground music torchbearer. Rajaković was already an accompished sound engineer and DJ and would later become even more renown for founding two record labels. It was this pairing and unity through which Rajakovic assisted Očuršćak to produce the legendary sophomore album ‘’Theriomorphic Spirits’’ which was released 3 years after the sad passing of Siniša Očuršćak in 1997. 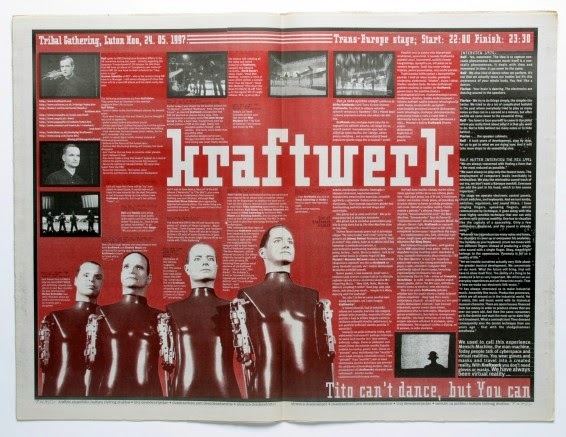 The album achieved worldwide acclaim from both music critics and listeners alike thus becoming the cult album of its genre. 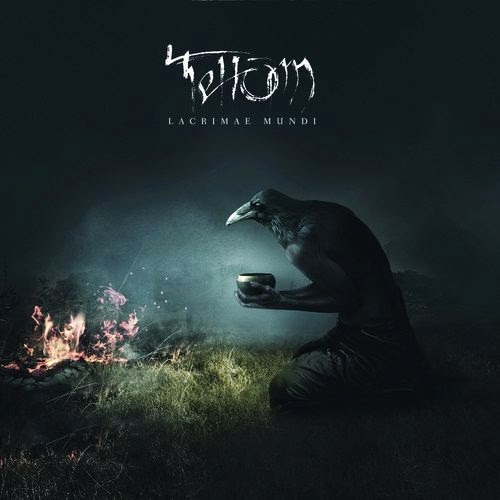 TeHÔM was the first ever, Croatian Dark Ambient music project of its time and one of Europe’s mainstays and purveyors in the sophisticated Dark Ambient music scene. The project was forced into early retirement following the tragic passing of its founder Siniša Očuršćak who died due to a cancer related illness in 1997. It is most likely, yet never officially confirmed, that his tragic death was related to his involvement in the Croatian Homeland War for Independence, where Siniša was a frontline soldier during 6 months. Retirement to the dark depths of Chaos was hard to take for fans and listeners alike. There was indeed a very long wait, interspersed with a shadow of ominous silence, from its second and now only surviving assisting member Rajaković, who still under the influence and shock of the death of his fellow friend and colleague, had chosen to retire to isolation. It was a hard cross to bear even for such an accomplished musician, artist and sound engineer as Rajakovic. "AN UNDENIABLE FORCE HAS BEEN RESURRECTED"
In 2010 after a long period spent in an almost Samadhi like state in his inner refugium, Rajaković emerged again, revitalized and reborn from the depths of Chaos to unleash his new creation on listeners and fans alike. 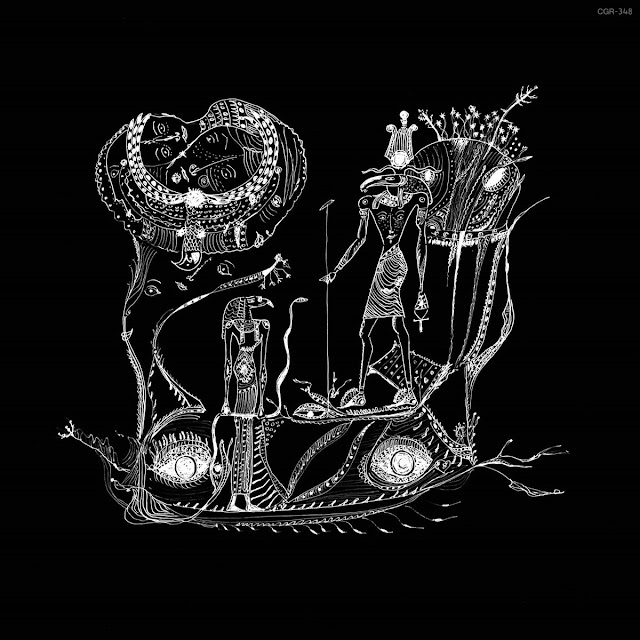 TeHÔM, yet again was thus reborn from the celestial and primordial sources of Chaos, with all its powers, ready to unleash their new aural output on us. The project which has been dormant for many years was finally revived and resurrected, more than a decade later, with a new 3rd album "Lacrimae Mundi" released by respected music connoisseur label Cyclic Law Records, in May 2014. 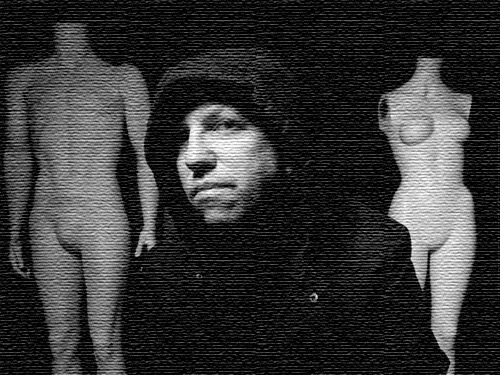 A very surreal, obscure, and cinematic-sounding opus has been created by Rajakovic following closely in the footsteps of previous works yet taking the project to new levels. TeHÔM is now back after a long silence. The eternal Abyss is awoken once again, as the primordial flood of Chaos awaits to penetrate the innermost parts of your soul. Mario goes (blues) rock... 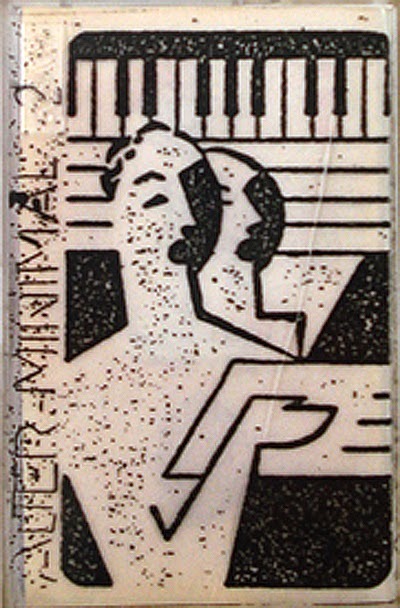 This cassette was made as collaboration, recorded and produced 20.10.1985. at MML, where is finally released. This songs can be easily called protest due the strong anti political themes they consist of. Mario Marzidovšek: Appears on Konj Brez Trave track and probably on other tracks too. Mario Marzidovšek was musician, artist, producer and concert organiser in northeast Slovenia and one of the pioneers of Yugoslavian D.I.Y. industrial/noise scene. 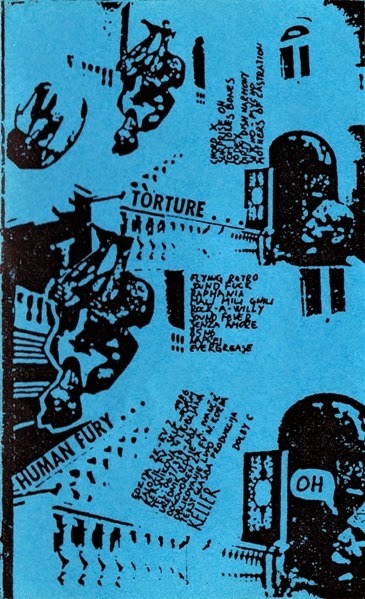 In the 80's he participated in several alternative actions, including "mail art" (he wrote over 600 letters per year to his correspondents) and the establishment of the first private (then illegal), non-commercial label in the former Yugoslavia called Minimal Laboratorium; anetwork through which he communicated with numerous artists and producers across the world. From period of 1984 to 1988, he issued more than 50 cassettes with different types of music, among which prevailed electronics and alternative rock but he had started recording earlier. 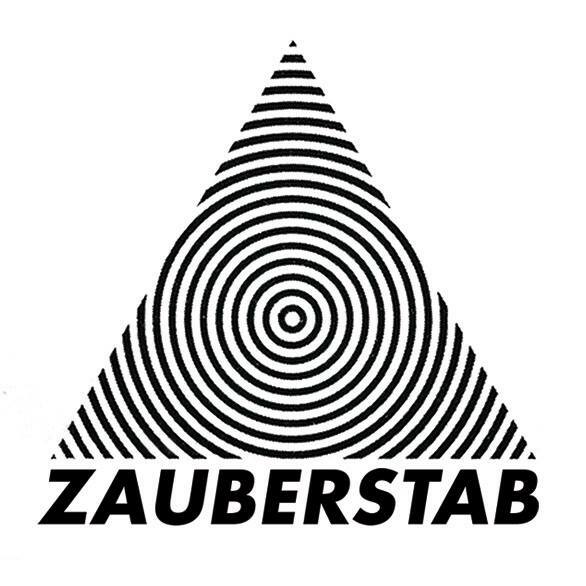 Despite his work being partly influenced by "Neue Slowenische Kunst" and Laibach activities and other alternative groups and artists, his electronic musical work is original and unique, influenced by the German kraut rock and various other experimental composers. Even the conditions Mario has lived in - like Slovenska Bistrica, professional work at chemical industry, didn't stopped him to be radical and productive. On the contrary, it was an essential path for his creativity. Mario Marzidovšek's work unites global and local production. 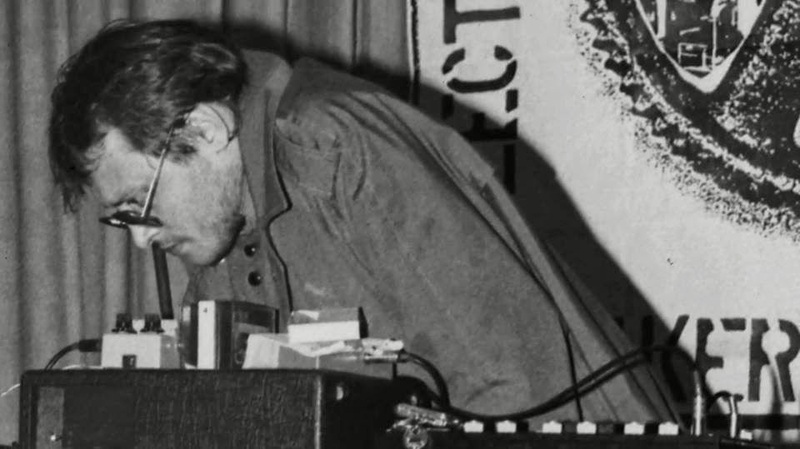 He was also making home-made synths and oscillators. Goljak Nightmare is also him but few years later. Jermić stopped creating music as the 80s passed by until the end of 90s when he devotes himself to music again. He changes his name into Monofonik in 2004 which sound is a bit different, alternative electro pop as he call it.. The cassette I am sharing doesn't have original artwork (so I made one) and consists of more than just two tracks (it's actually compilation of demo recordings by Jermić's projects) but they are lost. A pity! Live at Novi Rock in Ljubljana (Križanke), 1983 is Borghesia's first perfromance. With guest musicians from Ljubljana: group Marcus 5, bassist Janij Hacete and guitarist Borut K. who play a recorded rhythmic base derived into multimedia performance. The recordings on the cassette are a bit damaged (Divlja Horda, Pokušaj) but there is no other existing media with the same material. Oh, I would love to mention that Abbildungen Variete at the same concert convincingly left everyone speechless doing some weird ritual performance.. Ah, pity, this was never captured. However, there is one audio documentation of their "Ishodišče subjekta" track. 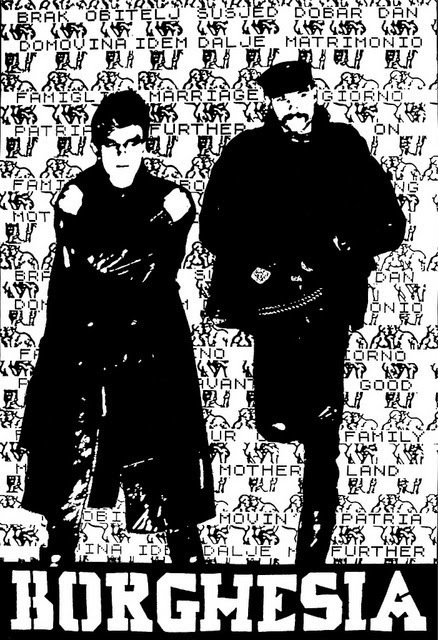 Minimal-electronic duo/trio from Nova Gradiška (Croatia), active shortly in 1982. One summer in Nova Gradiška, Karo and Troga, Farfisa organ treated with guitar effects (delay, hall, etc..) and around ten songs... Performance in August '82 as Poposhev and Rosenfeld at the Summer Stage is still remembered as something special. The day before the show Viki had joined them (called Pnomh Pen) and on the stage, between the songs played by the other two guys, recited verses of poems about Maya, the bee who was 'illustrated' by their music which was actually composed prior texts. 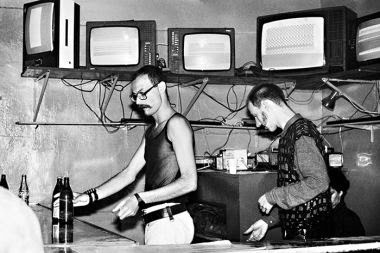 Popošev i Rozenfeld had only one live performance and they were the epitome of minimalist electronics sound of that era, they didn't have the echo of a firstwave minimalwave bands in Yugoslavia at that time known as far to Pozega and Western Slavonia, just like the case of Sat Stoicizmo. "Ljetna Livada" is also included in Ex Yu Electronica Vol I: Hometaping In Self-Management compilation ‎(Monofonika). The original cover of Pčelica Maja 82 (Maya the Bee 82) tape is lost so I created one myself. 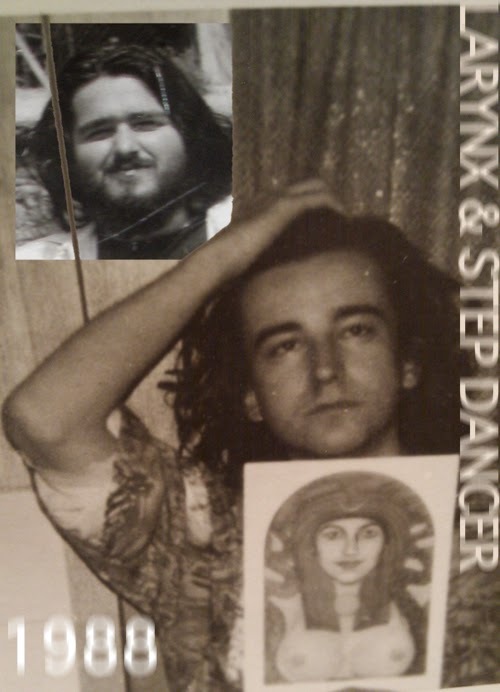 Step Dancer (later Step Master) is Dušan Jakovljević from Banja Luka, Bosnia and Herzegovina and he has been active in Yugoslav noise and avantgarde scene since 1986 making several recordings on wide variety of instruments that were issued on DIY tapes with limited distribution to friends and via fanzines. 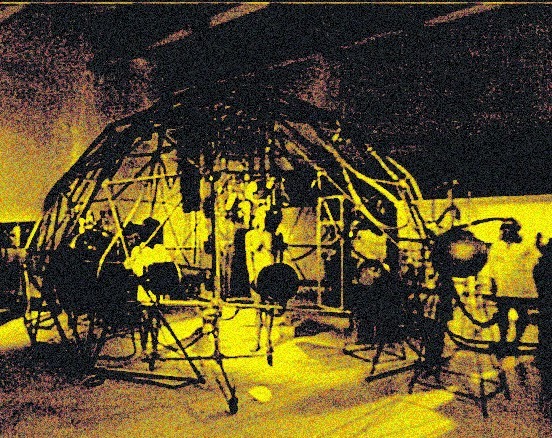 Đorđe Dimitrijević from Požarevac, Serbia, a sound artist active from 1983 to 88/89, with whom he has recorded two sessions (1988 and 1989) which became notorious in the Yugoslav avantgarde. 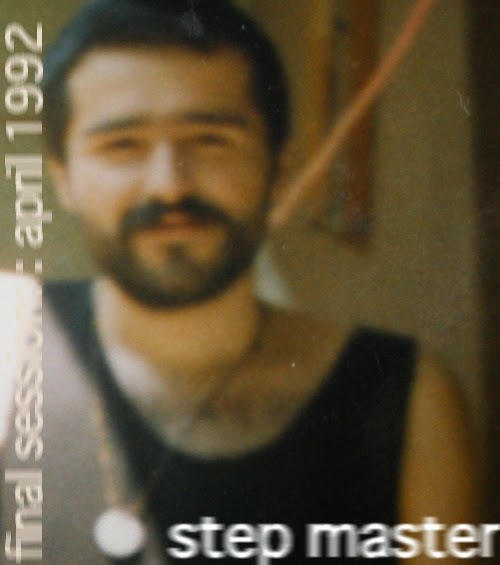 Live session recorded in Požarevac (Serbia) in October 1988, Larynx + Step Dancer. Recording includes guitars, drums, keyboard, voice, tapes. They were initially released under Key A No tapes project, and segment was published in January 2011 on vinyl compilation Ex-Yu Electronica Vol I: Hometaping In Self-Management on Monofonika label by Dušan Hedl (Subkulturni Azil, Maribor) and Nenad Vujić (A Hogon’s Industrial Guide, Beograd). This is the final recording by Jakovljević under pseudo Step Master made in his bedroom as the war in Bosnia was unfolding in April 1992. Recording includes live radio (crisis in Višegrad and Sarajevo) with tapes (Grunding 4 track) overrecording, multi-speed dicta-phone, guitar, flute, voice and water/street sounds. 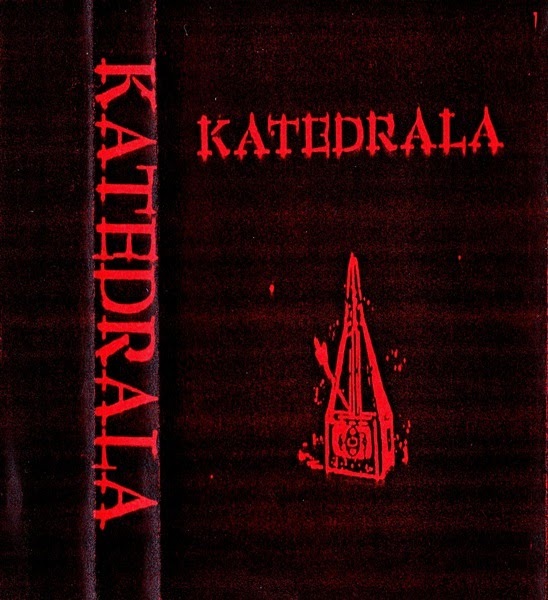 "Katedrala" - an interactive space and performance in Extended Media Gallery - Zagreb (23.2. To 25.2.1988.) - In collaboration with Stanko Juzbaši, Goran Premec, Ivan Marušić Klif i Darko Fritz. Boris Bakal (Zagreb, 18 September 1959), theater and film director, writer, theater, radio, television and film actor, intermedia / multimedia artist. His work has, among other things, characterized by a specific research center and atypical performing locations, documentary style approach and the interactive elements in art projects. 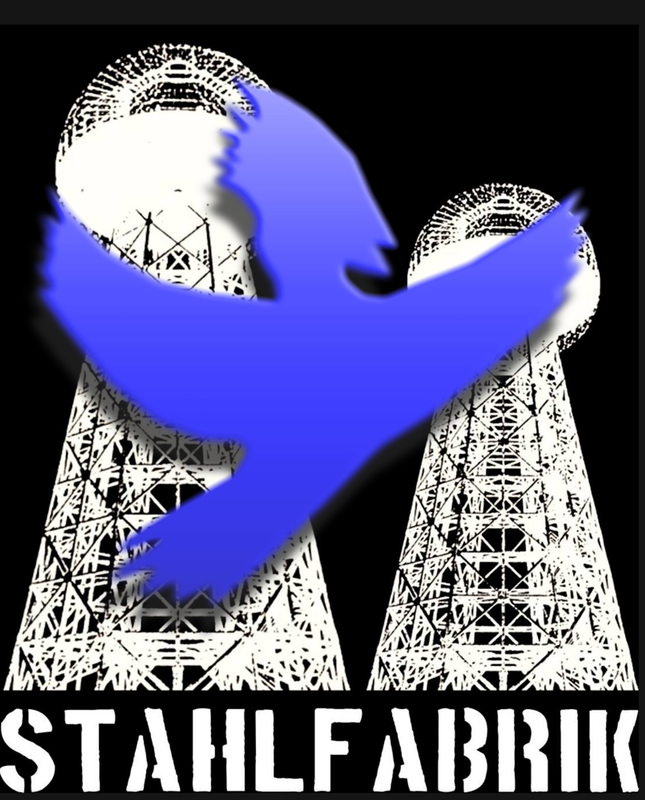 Co-founder of the platform, activist initiatives and arts organizations such as Anti War Campaign Croatia (ARKZIN - ARK's fanzine), Leteće sveučilište (Flying University), Orchestra Stolpnik and others. In 2002 he co-founded and still leads the international art platform Bacači Sjenki (Shadow Casters). Projects he has worked on have won numerous awards and prizes in Croatia and abroad. Yugoslavian project of Slovenian ex Laibach's member, underground movie maker Andrej Lupinc who is active again in Laibach as a session musician. The cassette is also known as 'Keller IV'. Experimental, industrial with the elements of minimal electronics.